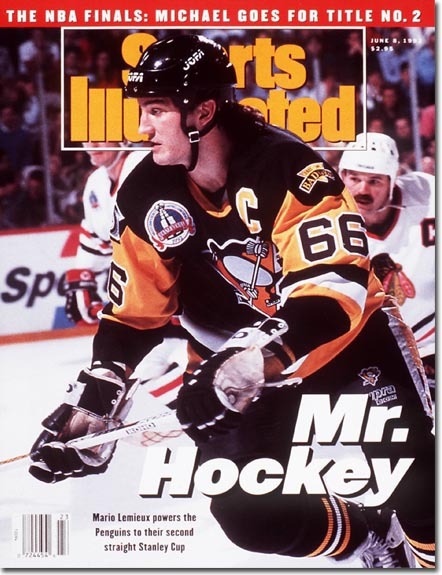 Mario Lemieux | Brush off the dust! History now! "Stan, Guy, love the show!" 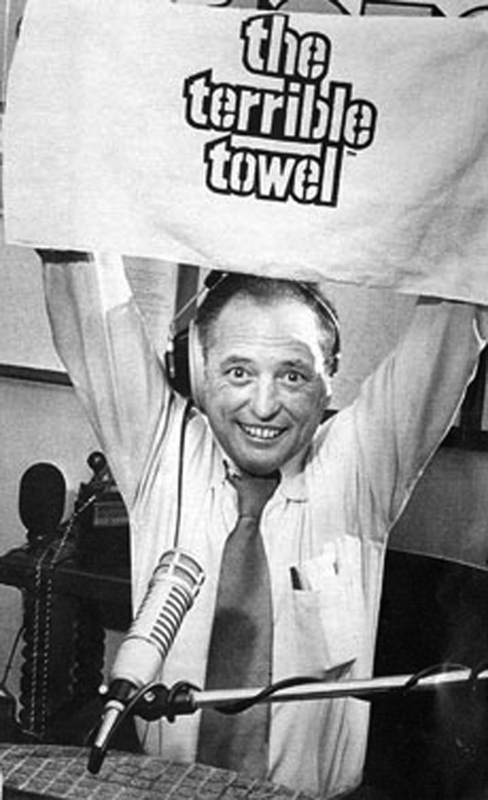 A Pittsburgh legend: Myron Cope, inventor of the Terrible Towel. When he was alive the great Myron Cope dominated the airwaves in western PA. Cope was not just a great personality, he was a great human being. He inaugurated the Terrible Towel era (and in 1996 gave the rights to the Allegheny Valley School which cares for people with mental and physical disabilities, such as Cope’s autistic son). The affection for this man was genuine from players and fans alike. People connected with him. The city’s history was connected to him and through him and the world of sports. He was also a huge influence on every sports voice and journalist who came out of Pittsburgh. It is illustrative of how important a sports community can be in some cities and how important the local media is in bonding that community together through its discussion. It is that much more evident when you consider the charitable power that these same individuals have and exercise for important causes, locally, nationally and sometimes internationally. To my mind a beloved sports personality and team in a beleaguered city is a unifying and positive force. And, any city that puts so much heart and soul into its sports and sports personalities, as Pittsburgh does, has to have that element acknowledged when its history and self-identity are explored. There are genuine points of interest for sociologists, anthropologists and historians. Pittsburgh, in particular, is such an interesting case study, because so many people left during hard times creating a widespread but ever-loyal fan base (as with a case like me, exiled in Baltimore!) 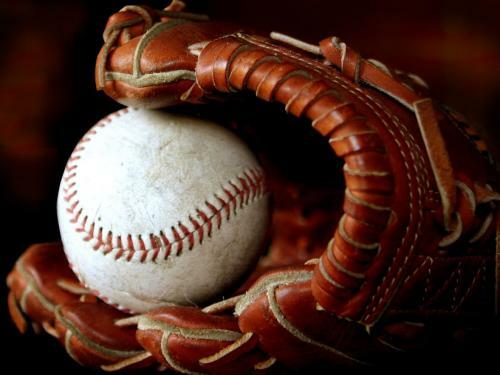 and because the city has evolved so much in the years since its sports teams stood for success while the city’s success, in general, had faltered. We can’t ignore the relevance of sports in society, nor should we, be it negative or positive. 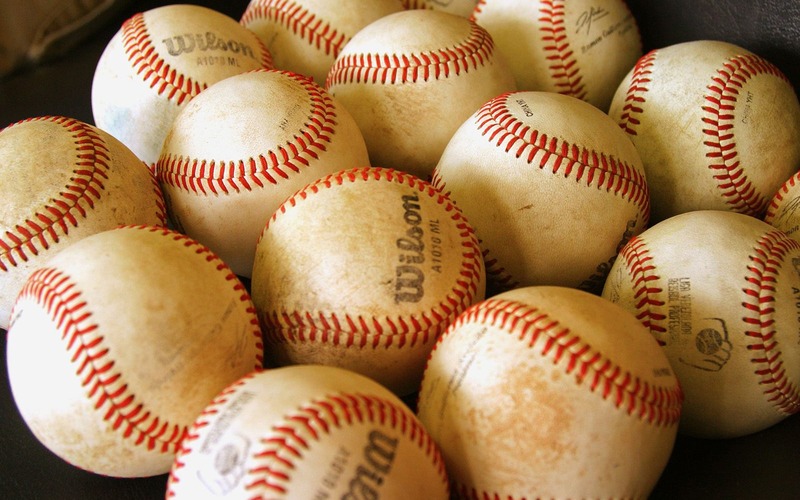 The problems in sports are reflective of society’s problems, both because of how they often represent examples of excessive and indulgent behavior in society’s vices and because of the heroism attached to these players. But, by the same token some of the victories in sports have also been essential in our evolving society, including the emotional victories, such as the Lake Placid’s Miracle on Ice and the Saints victories in post-Katrina New Orleans; and, also the social victories, such as Jackie Robinson’s courageous first step dismantling the color barrier in sports and society, during segregation. Consider the Pittsburgh Pirates, who drafted Roberto Clemente. Clemente, a Puerto Rican, would become the first Hispanic player to win a World Series as a starter (1960), win a league MVP award (1966) and win a World Series MVP award (1971). He died in plane crash, in flight on a mercy-aid mission to earthquake rocked Nicaragua. While Major League Baseball maybe littered with the stats of Latino-American ball players, today, Clemente was inspiration to a population that was treated like second-class citizens–maltreatment that continues even now. In an era when one’s race still carried suggested undertones of one’s ability, Clemente challenged those notions with his work and gave back generously when he could have withdrawn in bitterness. His foundation continues to give to Pittsburgh youth and awards others who give. 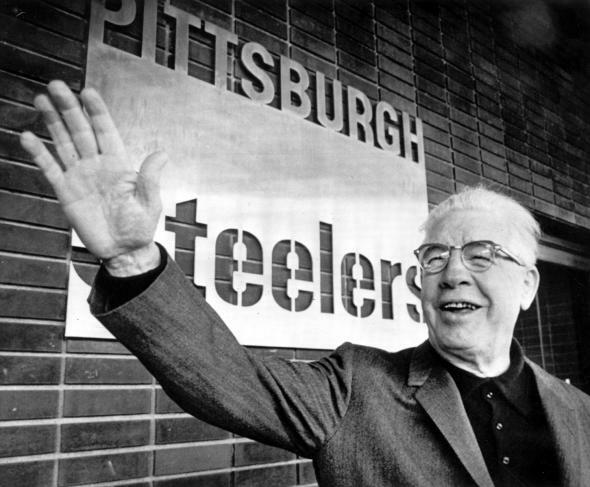 Art Rooney, the Chief--a damned admirable man. Super Mario! Twice the savior of hockey in Pittsburgh and a man who had a hand in every Pens' Cup! Mario Lemieux educated Pittsburgh in ice hockey. I tend to think that it was essential that he do so, because the arena the Pittsburgh Penguins played in, the Civic Arena, later the Mellon arena, but always the “Igloo” in our hearts–a unique architectural building now at the end of its life–had been built on top of a neighborhood that had been confiscated by the city, displacing one of Pittsburgh’s minority communities, through eminent domain. (It is, of course, a recurring challenge for cities–just ask the former residents of Southeast D.C. who were displaced by the National’s new stadium–one constantly justified by promises of economic growth that do not often pan out.) Lemieux turned a largely apathetic city into great fans of the fastest sport! When, in the 1990s, the team suffered financial woes, Lemieux saved the day, again, and bought the team. Only a couple of years ago, he saved the team for the city, managing to keep it in Pittsburgh instead of losing it to Kansas City, despite a sweetheart deal awaiting them in that other city. The days of limbo were awful and as a fan then and someone now living in Baltimore, a city that knows something about uprooted teams, I will always be grateful to that French-Canadian along with thousands of other Pens fans. Since then, Lord Stanley, the prize of the NHL finals and the most unique trophy in sports, has returned to the city that sits on the confluence of the Allegheny and Monongahela Rivers! Redemption for Big Ben? Too early to say . 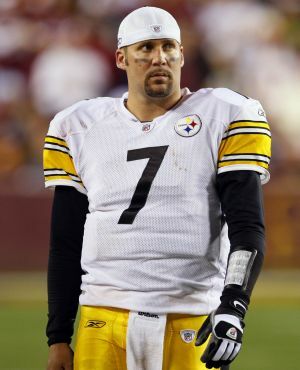 . .
On a less triumphant note, I submit, Exhibit D, the 2010 summer of Ben “Big Ben” Roethlisberger. I do not know exactly what happened in Milledgeville, GA, but I do know it smells bad. If Ben did not sexually assault the college girl who accused him, he still behaved intolerably. The emotion in the city was palpable; and, yes, I could feel it all the way in Baltimore. What is so depressing is the deplorable behavior of all involved: if Ben did it, we will never know, because the alleged victim was too intoxicated to provide the necessary testimony and evidence; regardless of what occurred in the end, it is hard to understand why the bodyguard, a Pennsylvania state policeman, let it go as far as it did, clearly an accessory; and, finally the apparent utter lack of respect for other human beings exhibited by the big man on campus, and shared by so many other hot shots in our society, at some point along the way became an integral part of Ben’s personality. Now, what we all wonder, is can he reform–does he even want to? Again, I cannot answer that, and certainly not at this juncture, but preliminary evidence suggests he might redeem himself. Perhaps, it would be fitting of me to traverse the Keystone state and consider Michael Vick. If both men are guilty, Vick’s crime is the lesser but remains deplorable. Vick, now working closely with the Humane Society, has returned from the pallor of a jail sentence and the probable conclusion of his career as a humbled man and one who still has game. One may hope he is truly a repentant, new man. I would be hard pressed to judge anyone for not forgiving Ben, but I would like to believe a second chance is out there if he is responsible and determined enough to fully earn it, all the more so because jail time will not be served to punish any action that might have happened. I know that for more than a few Pittsburghers it will take more than a winning season to embrace him, again. So, sports are an important window into society’s soul. In order to reach that window, we rely on sports journalists to boost us up and give us a glimpse through it in our contemporary world which shapes history. Where some are comedic, like NFL Network’s Rich Eisen and ESPN’s Kenny Mayne, others are brash and contrary, like ESPN’s Colin Cowherd and Pittsburgh’s Mark Madden, and still others are in touch with the pulse of sports in society, like ESPN’s Chris Berman and Pittsburgh sports guys Stan Savran and Guy Junker. Stan and Guy brought genuine emotion and real insight. I will miss that and hope to hear from them again, soon. In the meanwhile I want to thank them for great and moving times that I experienced as a listener. Guy’s savant-like knowledge of Pittsburgh baseball earlier this year, a fantastic interview at this year’s training camp with “Mean Joe Green” and this summer’s discussions about childhood games and crotchety neighbors are just some of my favorite memories from this year alone. I have been moved to anger, tears and laughter over some jubilant and trying years in the Pittsburgh sports scene and ESPN 1250 (online) was there through the last decade of it! It was great being reunited with former Mountaineer and Steeler Mike Logan! 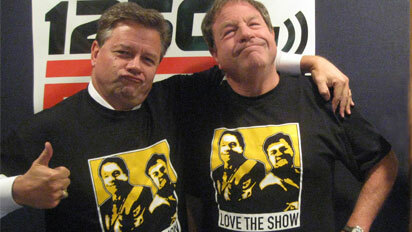 And, it was great having the Stan and Guy show reunited on ESPN while it lasted–may it return again, soon! !